It goes completely against the grain of self-preservation, if not conventional healthy-living wisdom: putting a spoonful of something containing billions of bacteria inside our mouths and swallowing it whole—wittingly and without hesitation. To the squeamish, this might sound an awful lot like having some hair of the dog that bit you, or in a strictly medicinal manner, being talked into getting a prescription that, say, will raise your cholesterol—your good cholesterol that is. Or drinking some sort of concoction that tastes awful going down (cod liver oil, anyone?) so you can start perking back up in the next few hours. 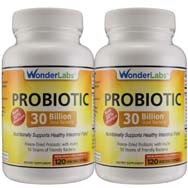 We're talking about probiotics, which are defined by webmd.com as live bacteria and yeasts beneficial to our health, in particular our digestive system. 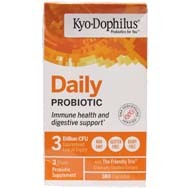 Occasionally mentioned in TV advertising and perhaps a source of bewildered head scratching, 'probiotic' is a combination of the Greek words pro (meaning "promoting") and biotic ("life"). Most of us are already aware of what antibiotics are—medicines that treat bacteria-caused infections such as pneumonia, but probiotics? Huh? According to medicinenet.com, Elie Metchnikoff discovered probiotics in the early 20th century while noticing that Bulgarians residing in rural areas were living to advanced ages despite a brutal climate and abject poverty. The reason, he theorized, was the sour milk they were drinking. The dwellers' health was being enhanced and senility delayed by "manipulating the intestinal microbiome with host-friendly bacteria" contained in the bad milk. One important thing to know about our bodies: we already have plenty of good bacteria and bad bacteria inside us before we consume anything containing probiotics (such as yogurt), but we need a correct balance to achieve optimal health. OK, now that we've covered that technicality, let's look a bit deeper into what some of the other purported health benefits of edible probiotics—and all those battalions of eager bacteria—are. 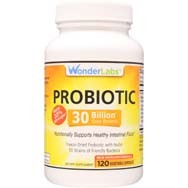 Note there are two main types of probiotics. First is lactobacillus, which is more common and is found in yogurt and other fermented foods. 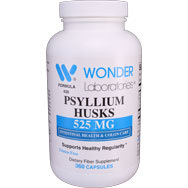 These are said to help with diarrhea and have benefits for those who are lactose-intolerant. The other type is bifidobacterium, found in some dairy products that can aid in alleviating irritable bowel syndrome (IBS) symptoms. 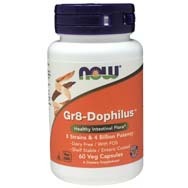 Other health conditions that have been identified as possibly treatable by probiotics are various gastrointestinal maladies, allergies in children, and vaginal and urinary infections in women, according to webmd.com. 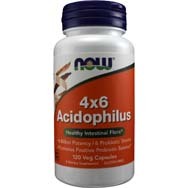 You can add to that list oral thrush, Crohn's disease and ulcerative colitis, says noted health expert Dr. Andrew Weil. 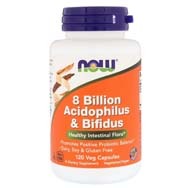 If forcing oneself to consume bacteria by the truckload still seems outrageous, get a load of this: it is estimated, per health.harvard.edu, that 100 trillion (yes, that's with a 't') microorganisms representing 500-plus species have set up shop in a healthy bowel. Don’t panic. 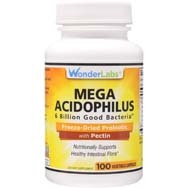 These gut-occupying bacteria are part of an incredible system of checks and balances—they keep harmful pathogens in line while assisting us with digestion, nutrient absorption and immune functionality. 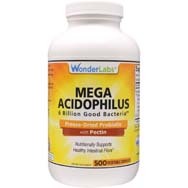 That balance between good and bad bacteria can be knocked out of kilter by factors such as diet, age and genetics, which can lead to systemic diseases such as obesity and type 1 and type 2 diabetes. 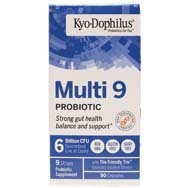 Probiotics aim to restore a healthy balance of bacteria. Medicine.net puts it this way: "The wrong bacteria in the wrong place can cause problems, but the right bacteria in the right place can have benefits. 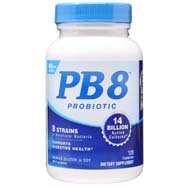 This is where probiotics come in." In general, probiotics are considered safe for us to use, but always be sure to check the ingredients, which should be marked on the label. If you see something that isn't familiar to you—and some pre-shopping research is highly recommended—then make a note of it to ask a health professional about it (before buying it). Kefir: a fermented dairy product similar to yogurt, made from a combination of milk and kefir grains. Cultured vegetables: sauerkraut and kimchi. Kombucha: made from black tea. Coconut kefi: the juice of young coconuts fermented with kefir grains. Natto: made with soybeans, popular in Japan. Yogurt: made from the milk of cows, goats or sheep. Kvass: beverage traditionally made by fermenting rye or barley; in more recent years beets, carrots, etc. Raw cheese: soft cheeses particularly high in probiotics.